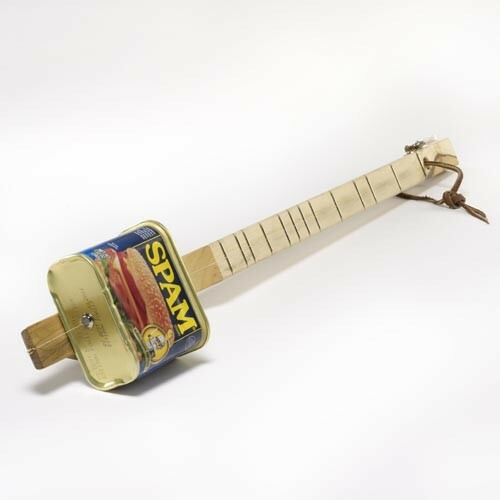 WHAT BETTER USE FOR AN EMPTY CAN OF SPAM® CLASSIC THAN TO TURN IT INTO AN INSTRUMENT! ANYONE CAN PLAY THE CANJO WITH NUMBERED FRETS 1-10 ON THE SIDE FOR EASY LEARNING. SET THE TUNER TO ANY KEY YOU CHOOSE AND PLAY! 29" LONG WITH VARIOUS LABELED CANS.